We all already know that Oppo is having an official event next month on November 2nd and is going to launch the Oppo R11s and Oppo R11s Plus smartphones in the event that will feature a dual camera setup on the rear side. It also got the 3C approval in China yesterday. The device was already spotted listed by official Oppo store in China but there were no specifications of the device listed, but now China Telecom has revealed all the specifications of the new Oppo R11S smartphone. The Oppo R11s is listed at China Telecom website with some new images of the device as well. According to the China telecom website listing, the Oppo R11s will be available for a retail price tag of 2999 yuan which is around $451. 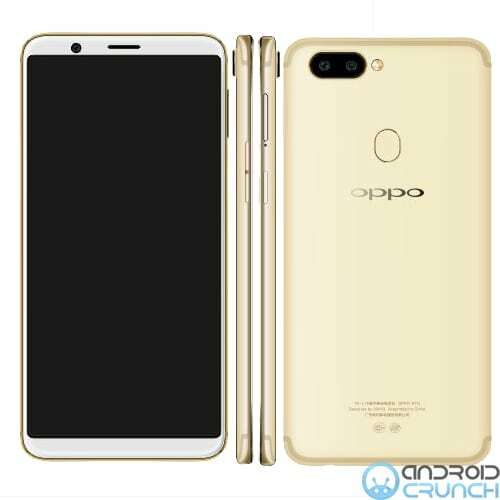 The Oppo R11s is listed at China Telecom website with a 6.01-inch FHD+ LCD display with an aspect ratio of 18:9, 1080 x 2160 pixels resolution and is powered by an octa-core Snapdragon 660 14nm 64-bit Mobile Platform (Quad 2.2GHz Kryo 260 + Quad 1.8GHz Kryo 260 CPUs) with Adreno 512 GPU. It comes with 4GB RAM and 64GB of inbuilt storage capacity that is further expandable up to 256GB MicroSD card storage slot. It runs on the Color OS 3.2 that is based on Android 7.1.1 Nougat OS out of the box. It comes with Hybrid Dual SIMs support. It features a dual rear camera with a 16-megapixel camera with dual-tone LED Flash and a secondary 20-megapixel camera with f/1.7 aperture and 2.0μm pixel size. It will have a 20-megapixel front-facing camera and it comes with a fingerprint sensor on the rear side. It will have a 3120mAh battery with VOOC Flash Charging and will support 4G VoLTE, WiFi 802.11 ac (2.4GHz + 5GHz), Bluetooth 4.2, GPS + GLONASS, USB Type-C connectivity options. It comes with Black and Purple color options. The device supports TD-LTE 2600 (B38) / 2500 (B41) / TD-LTE 2600 (B38) / 2500 (B5) MHz, FDD-LTE 2100 (B1) / 1900 (B2) / 1800 (B3) / 1700 (B4) / 900 (B8) / 850 TD-SCDMA 2000 (B34) / 1900 (B) / 1900 (B39) MHz, W-CDMA 2100 (I) / 1900 (II) / 1700 (IV) / 900 (VIII) / 850 B39) MHz, CDMA2000 800 (BC0) MHz, GSM 1900/1800/900/850 MHz bands.